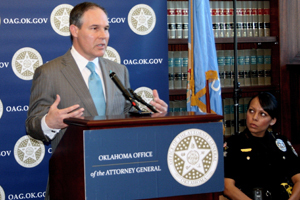 Oklahoma Attorney General Scott Pruitt announced Tuesday that Oklahoma is suing the president over his unconstitutional executive actions on immigration. “The president’s executive actions on immigration are unlawful and unconstitutional. The constitution doesn’t give the president the power or authority to rewrite our nation’s immigration laws but that is exactly what the president is trying to do through his executive actions – even though he’s said numerous times he doesn’t have any such authority. It takes two branches of government to pass a law. The president has a constitutional responsibility to faithfully execute the laws as passed by Congress and he is not. Oklahoma will work to hold the president accountable and stop his unconstitutional executive actions on immigration,” Attorney General Pruitt said. 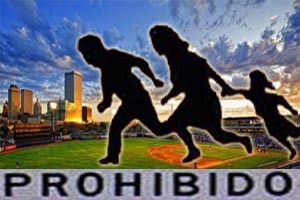 Oklahoma on Tuesday joined the multistate lawsuit filed in federal district court in Texas. The states that are a part of the lawsuit are seeking a temporary injunction to halt the executive actions the president announced in November. “Attorneys general from across the nation recognize the president’s actions violate the constitution and are joining together in this lawsuit to seek an immediate end to his unconstitutional action,” Attorney General Pruitt said. The states argue the president’s unilateral executive action violates the U.S. Constitution and federal law by bypassing Congress in order to rewrite U.S. immigration laws. This entry was posted in State on December 10, 2014 by admin.